If you’ve always wanted to fly at the pointy end, this may be your chance. 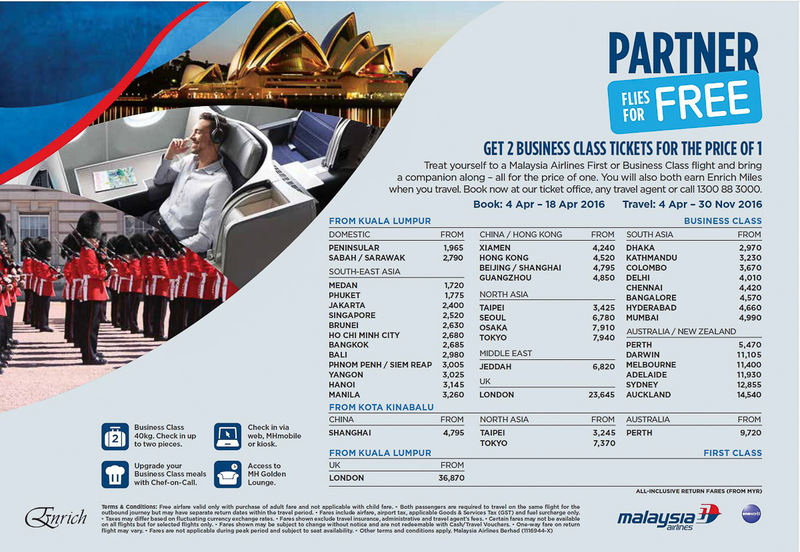 Malaysia Airlines is offering Buy-One-Get-One-Free deal when passengers purchase a First or Business Class ticket on Malaysia Airlines by 18th April 2016 for travel up to 30th November 2016. If you always travel in front, but usually alone, now you can treat a companion to a complimentary journey and share the experience as the offer is available on Malaysia Airlines’ flights across its entire network (excluding codeshare flights). 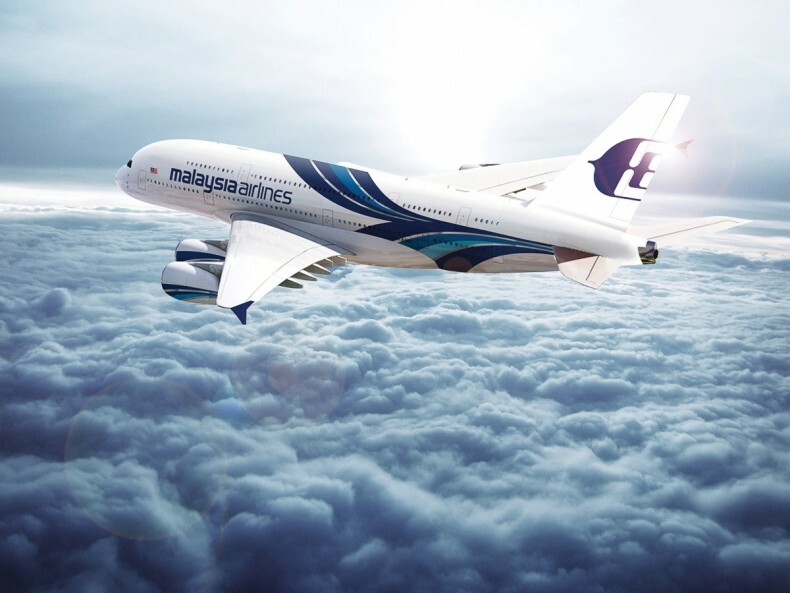 Included in your fare, you will each will enjoy 50kg of checked baggage for First Class and 40kg each for Business Class, as well as access to Malaysia Airlines’ Golden Lounge where this is available. Enrich members will also be able to earn Enrich miles for both tickets. To enjoy this promotion, book your tickets online, via Malaysia Airlines ticket offices, your preferred travel agent as well as the Malaysia Airlines call centre at 1 300 88 3000. This promotional offer is valid system wide subject to terms and conditions. Seats may not be available during black-out periods.